We discovered mountain folk have a different taste in food than us! One of our favorite places to camp locally is around Big Bear. Big Bear is a mountain location in the San Bernadino National Forest above the city of San Bernadino, California. 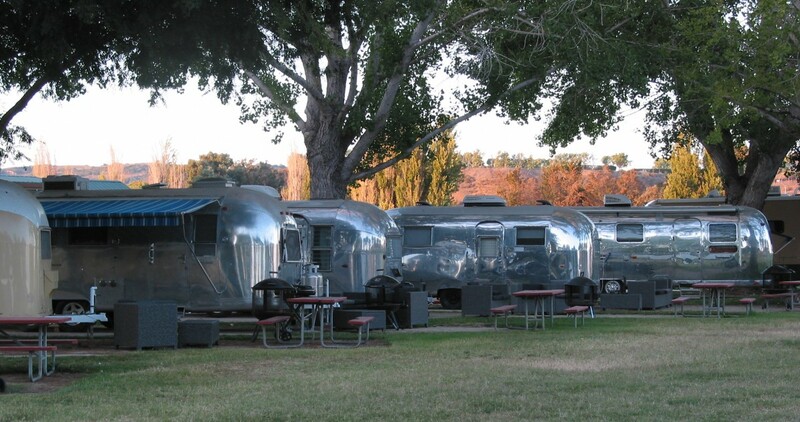 The three campgrounds we like the best are Barton Flats, San Gorgonio and Serrano. All three campgrounds are run by the National Park Service and all three are great!! What’s that in the brush? Is it dangerous? So far we have camped in the Big Bear area five times, twice at Barton Flats (we just returned from there), once at San Gorgonio and twice at Serrano. Even though Barton Flats and San Gorgonio are considered on the way up to Big Bear proper, they are both at about the same elevation,~6,400 feet. There are no hookups at Barton Flats or San Gorgonio, but there is a dump station. There are more than a hundred campsites for tents and RV’s at Serrano, but only a couple of dozen campsites have water/electric (no sewer) hookups. We’ve stayed in both. There is a dump station at Serrano. All three campgrounds have clean restrooms and showers with hot water. The showers are free when camping at Barton Flats and San Gorgonio. That may or may not be true at Serrano, we didn’t use them. If you have an Adventure Pass you can get a substantial discount at all three campgrounds, at least we did. These campgrounds are next to each other on highway 38 that goes to Big Bear Lake. San Gorgonio is just north of Barton Flats. These are very popular campgrounds so make reservations. San Gorgonio is closed during winter months (lots of snow) but Barton Flats is open all year (also lots of snow). You can’t go wrong with either campground but there is a slight difference in the way they are managed. The camp host at Barton Flats runs a tight ship while the camp host at San Gorgonio is lax (and that’s not really a good thing). Both campgrounds offer large campsites with fire rings, picnic tables and big trees. There are bear proof storage bins at each campsite. Use them. Don’t leave food or anything smelling like food outside your trailer, RV or tent (not inside your tent either!). There are bears in the area and they can open up your trailer, RV, especially a tent, like a tin can if they think there is food to be had. Our barbecue fits perfectly into the storage bin. Here are some picture of and around our last campsite, number 38, at Barton Flats. Alex and Jim *Note – that’s not a L.A. School District Sweatshirt! Ah yes, the camp hosts. They can make all the difference in your camping experience. The camp host at Barton Flats enforces the rules and keeps the place very clean. No noise at all during quiet hours, no campfires when there is a high fire danger. The camp hosts at San Gorgonio did not enforce noise restrictions during quiet hours. As a matter of fact, they ran their generator all night. Campers just a few campsites away from us blasted music late into the night. While at San Gorgonio, there was a red flag fire warning meaning campfires are not allowed. There were numerous irresponsible campers (including the music master a few sites down) that had blazing campfires going. The camp host did nothing and did not check things like the host at Barton Flats. San Gorgonio is nice, but the overall camping experience is better at Barton Flats. Just south of both campgrounds on HWY 38 is the Barton Flats Visitor Center. You can get all kinds of printed and verbal information about the area here. Adventure Passes and Wilderness Passes can be purchased if needed. Nature walks and interpretive programs are also presented to campers on summer weekends. One of the most popular programs is an informal astronomy presentation. A picturesque place to visit is Jenks Lake. A guy named Captain Lorin Shaw Jenks built a pond in the 1870s, after making a small dam that diverted water for it from the South Fork of the Santa Ana River. He raised fish and sold them in San Bernardino. Mr. Jenks also built a resort by the lake but the business failed because the three day burro ride, that had to be fun, from town was too long for visitors. Now, Jenks Lake, is a popular destination for fishing, hiking and picnicking. It is stocked with bluegill, sunfish, large mouth bass, and rainbow trout. Swimming is not allowed. The lake can be reached from paved Jenks Lake Road, or via short hike up from the Barton Flats Visitor Center. Woodpeckers have poked an unbelievable number of holes in trees. They store food in them and supposedly come back for it later. I say they can’t remember where they made the holes and stored the food. The woodpeckers probably just randomly pick a hole and take whatever is in it. Heck, I forget where I put my keys most of the time and end up using my wife’s keys. When she starts to go somewhere and her keys aren’t where she left them, she thinks she can’t remember where she put her keys and I get a good laugh. If you have time, you’re hungry and a little adventurous, there’s this funky restaurant/general store on highway 38 about 20 minutes south of the campgrounds in the city of Angelus Oaks. It’s called The Oaks Restaurant and the parking lot is usually full of motorcycles and road bicycles. On this day it was closed due to a power outage. Live a little and try it. This campground is right next to Big Bear Lake and it’s a short, easy walk to the lake. Again, there are bears (and other animals) here, so don’t leave food out! Each time we’ve been here the campground has been sold out, so make reservations well in advance if you want to visit, especially during summer, vacation months. The campsites are much closer together than at Barton Flats or San Gorgonio, but far enough apart so you don’t feel crowded together. Along the southwestern shore of Big Bear Lake is a Bald Eagle refuge. You are discouraged from hiking in the area, but there are places to park. If you look long enough, you may see an eagle or two. The eagles remain in the area all year even though Big Bear usually gets lots and lots of snow in the winter. If you hunger for a little civilization, you can drive around the lake to Fawnskin or the City of Big Bear Lake. There are movie theaters, restaurants, shops of various kinds, art galleries, grocery stores and so forth. Big Bear even has a small, but interesting, zoo, the Big Bear Alpine Zoo. If you are not into camping, there are lots of cabins for rent. Stop by the Big Bear Visitor Center on the south side of the lake for more information than you can possibly use during one visit. Two ski resorts are located on the south side of the lake, Snow Summit and Bear Mountain. Great skiing in the winter (although it gets very crowed) and in the summer you can ride a lift chair up one of the Snow Summit slopes and experience outstanding views. There’s a well rated eatery at the top if you arrive hungry. Some other activity options in the area include boating, fishing, horseback riding, golf, helicopter tours, segway tours and a lot of stuff I’m forgetting. We enjoy Big Bear campgrounds and will be visiting there a lot in the next year. Stop by and say “hello” if you see us.